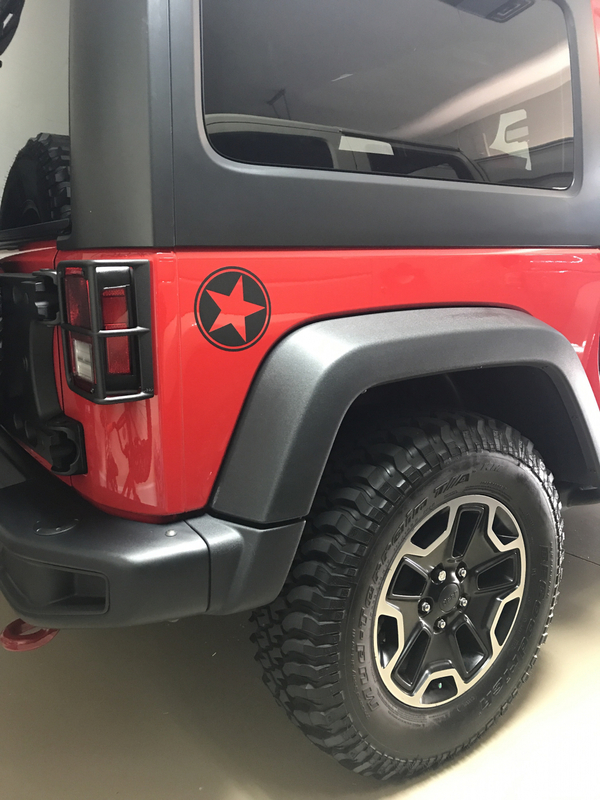 This is the Mopar facotory black star decal on the right rear quarter panel on the 2017 Freedom Edition Wrangler. 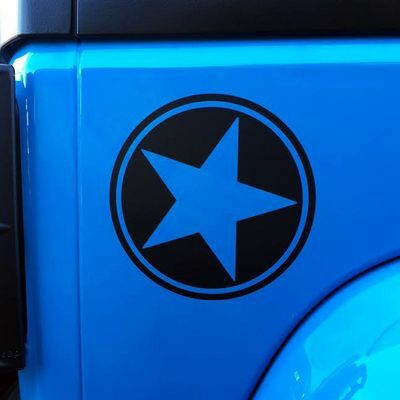 This panel star by far surpasses the quality and ease of install like none other. No bubbles- No Creases! Not only are the instructions EZ, the placement is factored in as well! nice add on, looks great.